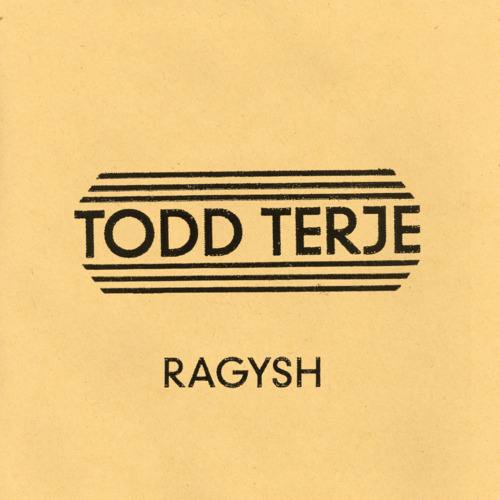 A couple of months ago Todd Terje released Ragysh – one of the most feel-good dance singles I've heard in a long time. The four-track EP was released via Running Back recordings; a label home to other great talents including Tensnake and Move D. The title track, "Ragysh," feels like a throwback to 70s disco, sounding like Giorgio Moroder sent of a couple tracks to Terje to see what he could come up with. The track is all Terje though, through the grooving synth line and disco percussion "Ragysh" will keep your head bobbing the whole way through. It's a long track and unfortunately I was unable to upload it given its size, but it's definitely worth buying. While "Ragysh" is a great track, the single's A2 track is absolutely killer. "Snooze 4 Love's" sequencing crosses disco and modern house to give it a very unique Todd Terje feel. You can't help but feel good when "Snooze 4 Love" is pulsing somewhere in audible range. Definitely my favourite of the four on the release.